In 2018, this popular compact SUV from Mazda brings drivers a few changes and tweaks that make it even safer, more fun to drive, and more powerful than previous years. A new safety feature on this year's model is the emergency braking system, which was once available only as an add-on. The 2018 model also received a vector control system to reduce engine torque and improve turning handling, which makes for faster and safer rides. The 2018 crossover has a quieter cabin due to thicker glass on the windows and sound-dampening materials, and it also has a new suspension system. 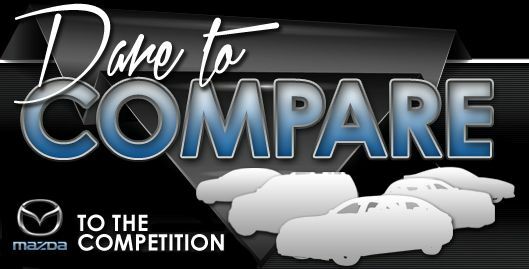 This vehicle is produced in several trim levels, which are the Sport, Touring, and Grand Touring. 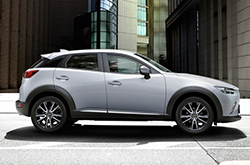 The base model for the CX-3 is the Sport. This vehicle has a number of standard amenities that make it safe, tech-savvy, and fun to drive. The engine that powers the Sport is a four-cylinder, 146HP engine. The Sport is available with a six-speed automatic transmission, and it gets an average gas mileage of 29 in the city and 34 on the highway. In low light and poor weather conditions, the car's daytime running lights and halogen headlights, which automatically turn on and off, make it more visible. The Sport has a keyless remote system and a backseat that splits and folds down. The cabin's tech amenities include USB ports, a Bose sound system, and a seven-inch touchscreen display. The car also has a driver command center with essential controls. The car has hands-free connectivity, and the steering wheel has integrated phone, cruising, and audio controls. 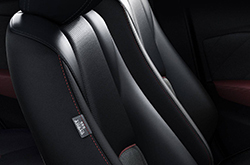 The Sport can seat five occupants in sporty cloth-covered seats. Moving up the line, the next trim level is the Touring. This model has automatic headlights and body-colored side mirrors with integrated turn signals. The Touring wheels are two inches larger than the Sport wheels. Cloth seats are replaced with refined leatherette seats in this trim, and the Touring gets a leather-wrapped steering wheel and shift knob. The Touring also has heated, sport-style front seats and an overhead console with sunglasses storage. 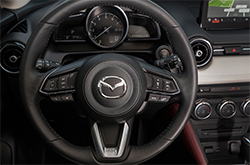 The Touring has identical technological features as the Sport, plus the Mazda infotainment console that houses all of the central controls for audio, phone, and navigation. 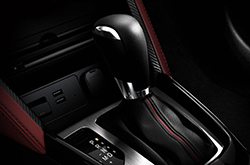 For occupants' comfort, it also has an automatic climate control. A rearview camera, airbags, and an intelligent braking system are notable safety amenities of the Touring. The third and highest trim level in this family is the Grand Touring. Safety is prioritized in the Grand Touring, which gets the addition of a premium safety package that includes adaptive cruise control, automatic emergency braking, high-beam headlamps that operate automatically, and a lane departure warning. This year's model also has a driver's seat that can be adjusted in multiple ways, along with an intelligent system that recognizes and appropriately responds to traffic signs. A heated steering wheel is another welcome addition to the Grand Touring. All three trim levels of the CX-3 have the same type of engine, which is a 146HP, 2.0L four-cylinder engine with 16 valves. The engine produces 146HP at 6,000 RPM, and it generates 146 LB-FT of torque at 2,800 RPM. The engine has an advanced direct injection fuel system, and it runs on regular unleaded fuel. The valvetrain consists of four valves per cylinder, and it has a variable intake valve timing, or VVT. The CX-3 is available with front-wheel drive or all-wheel drive. From advanced monitoring systems to collision avoidance and classic lifesaving features like airbags, the CX-3 is loaded with features and mechanisms to keep riders safe. The safety suite on this model includes three-point safety belts for all seats and belt pretensioners in the front seats. There are front and side airbags for the driver and front passenger, as well a side-impact curtains. The passenger area is surrounded with side-impact door beams, and the rear seat has child safety locks.